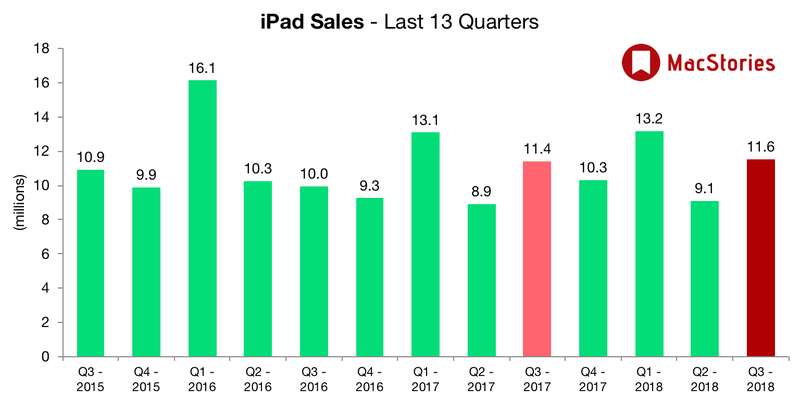 Apple has just published its financial results for Q3 2018. The company posted revenue of $53.3 billion. 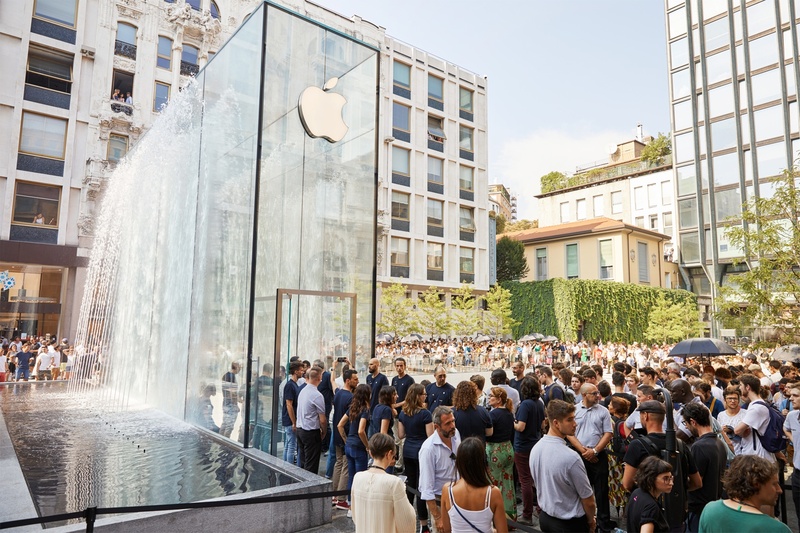 Apple sold 11.6 million iPads, 41.3 million iPhones, and 3.7 million Macs during the quarter. 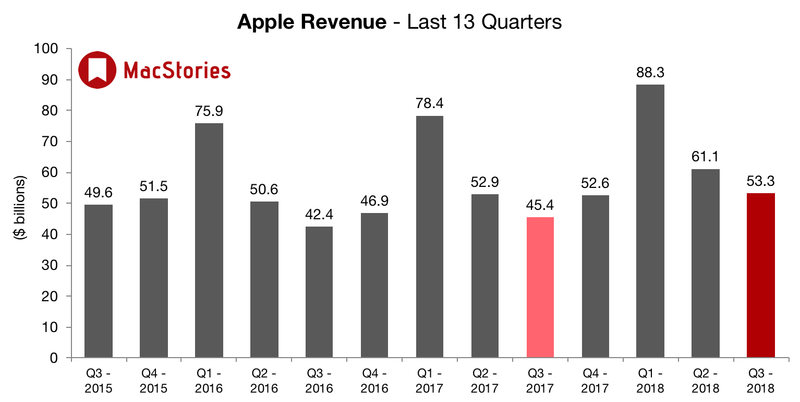 Apple's revenue guidance for Q3 2018 fell between $51.5 billion and $53.5 billion, with gross margin estimated to be between 38% and 38.5%. The Cupertino, California-based technology giant is expected to announce fiscal third-quarter revenue of $52.3 billion, according to analyst estimates compiled by Bloomberg. 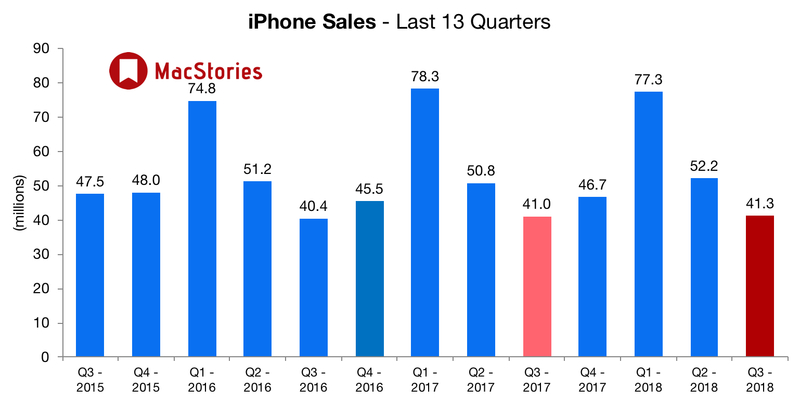 That’s in line with the company’s recent forecast and translates to year-over-year revenue growth of about 15 percent, the strongest for Apple’s June quarter since 2015. Higher iPhone average selling prices, increased services revenue, and unit sales growth for the Apple Watch should drive the expansion, analysts say. 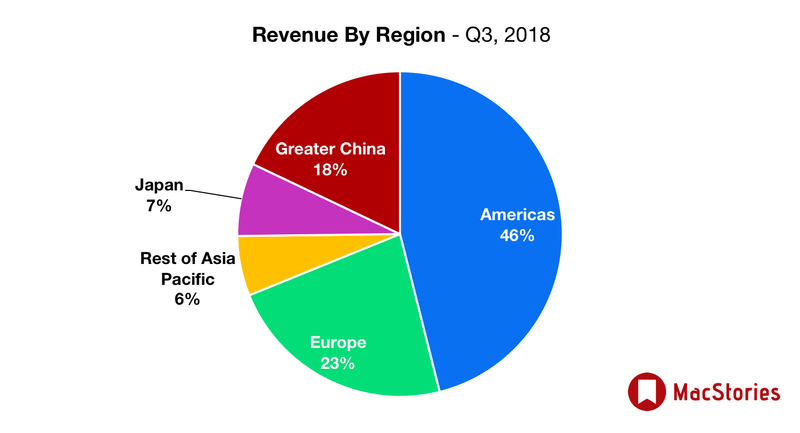 In the year-ago quarter (Q3 2017), Apple earned $45.4 billion in revenue. 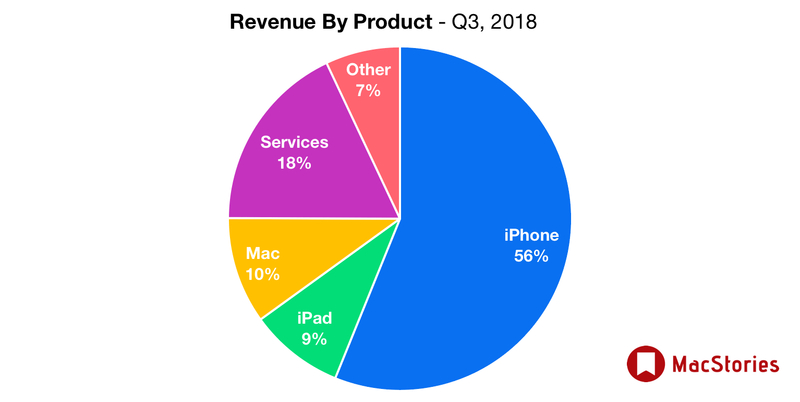 During that quarter Apple sold 41 million iPhones, 11.4 million iPads, and 4.3 million Macs. 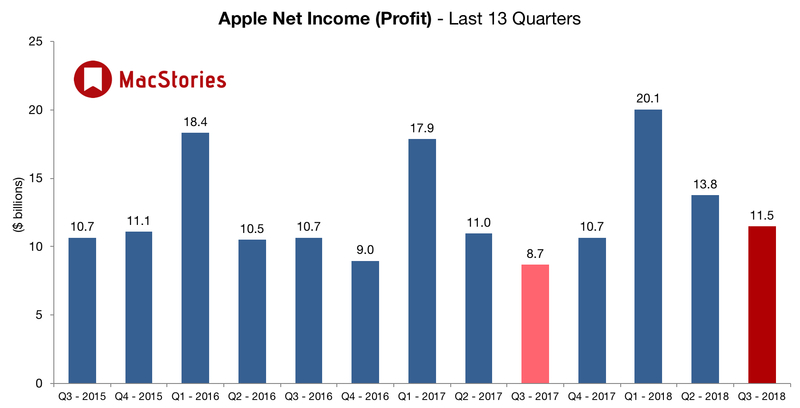 Below, we've compiled a graphical visualization of Apple's Q3 2018 financial results.